Hear a new song from the Foo Fighters—and catch Stick To Your Guns, the Damned and more on tour! 1. Foo Fighters played a new song called ‘Dirty Water’ at a gig in Paris on Monday. The track is taken from their forthcoming album Concrete & Gold, due out this September. 2. 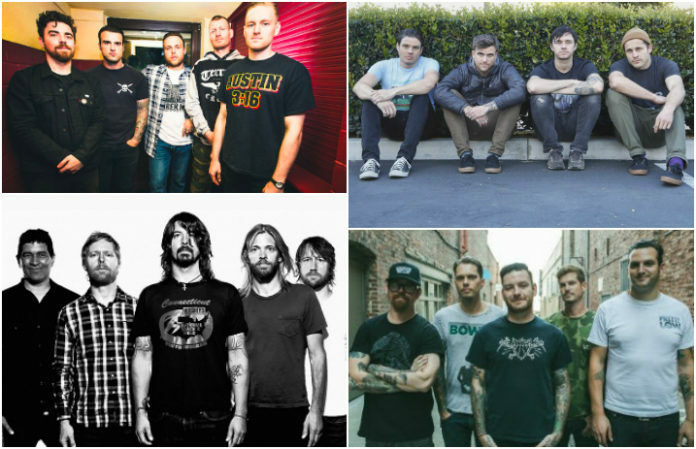 It looks like Senses Fail are recording their new album with Saosin’s Beau Burchell. The teaser was made official through Burchell’s Instagram. More of the @sensesfailofficial tower of tone. Tower of tone. Three songs in our LP “If There Is Light It Will Find You”, best songs we've ever written. 3. Stick To Your Guns, Being As An Ocean and Silent Planet have announced a UK and European fall tour. The tour will kick off this November in Germany. 4. Former Warbringer drummer Nic Ritter has passed away. Ritter was a member of the California thrash band from 2008 through 2011 and appeared on their 2009 album, Waking Into Nightmares, according to Lambgoat. 5. British punks the Damned announced a UK tour for 2018. Tickets for the Evil Spirit tour go on sale at 10 a.m. this Friday. 6. Much of Futurama has been removed from Netflix, and fans are freaking out. Twitter is truly winning the meme game right now.